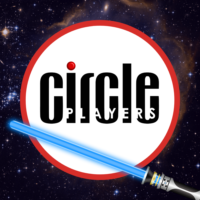 Join us a long time ago, in a galaxy far, far away for a special party and event celebrating the holiest of all geek holidays, May the 4th! The evening begins at 8 pm with a reading of a classical rendition of part of the original Saga, directed by Circle’s Artistic Director John P. Dowgin. The reading will be followed by a themed afterparty. Patrons are encouraged to come in costume for the afterparty, so long as the costume allows them to sit comfortably for the performance. Due to the coziness of our space, we ask that you leave your lightsaber aboard your starship.